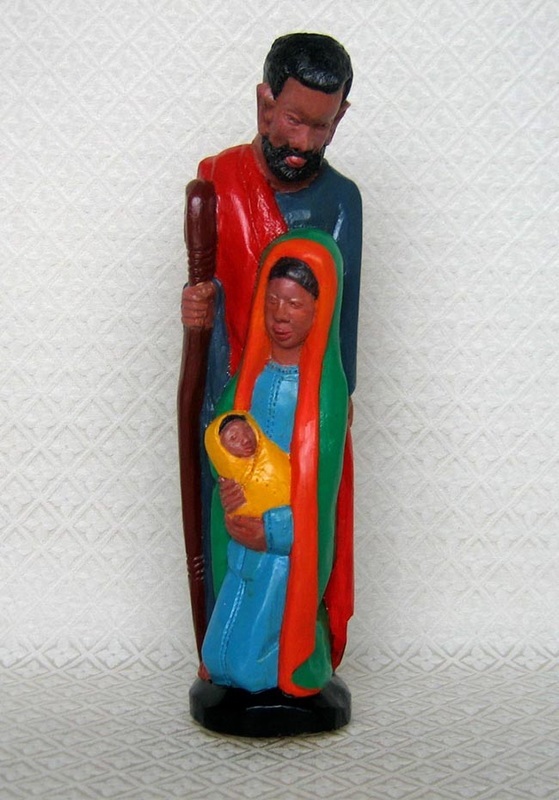 This statue of the Holy Family is carved from jacaranda wood. The scene is hand-painted in bright, traditional African colors. An acquaintance found this piece in an open market while traveling in Mozambique. Nothing is known about the artisan. The carving measures 13.5 inches tall.